Stop fumbling with changing magazines. 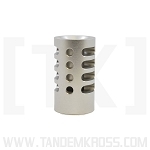 Extend the height and width of your magazine release with the new TANDEMKROSS Extended Magazine Release for SW22® Victory™. Includes two button styles available in black or silver - perfect for customization! 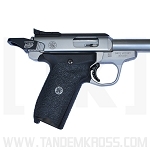 The SW22® Victory™ is a popular rimfire pistol for Rimfire Challenge, Steel Challenge and other shooting sports competitions, and is great for beginner and junior shooters. 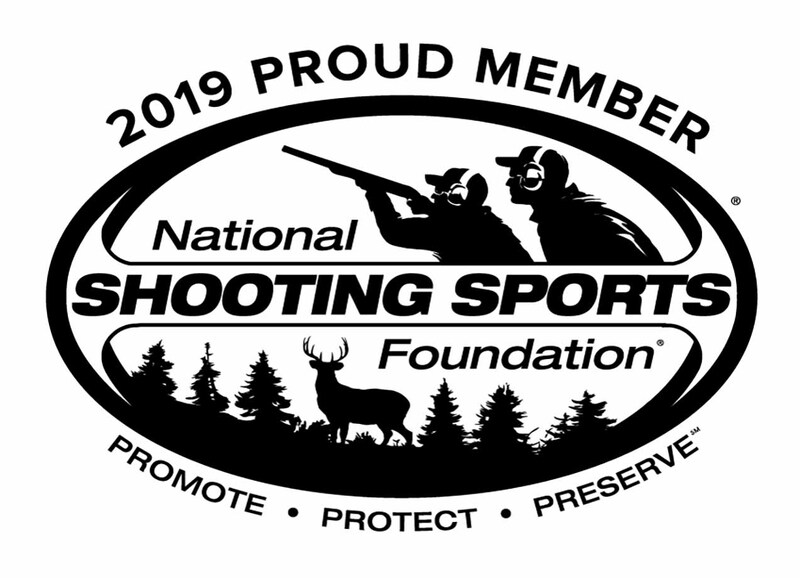 But for young shooters, or other shooters with smaller hands, reaching the magazine release button while shooting can be a challenge. Even shooters with larger hands often struggle to easily and consistently release the magazine when adding thicker SW22® grips to their Smith & Wesson Victory™ pistol. 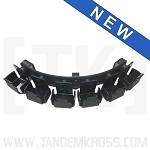 The TANDEMKROSS "Titan" Extended Magazine Release for SW22® Victory™ is a simple, drop-in replacement for the factory magazine release that offers significantly more surface area and height to make magazine changes easy - ideal for competition shooters! 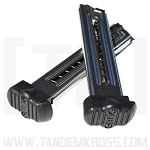 The “Titan” extended magazine release comes with two styles of magazine release button for the ultimate custom fit: a round, textured button that is taller and slightly wider than the factory magazine release button and a larger, paddle button to extend the magazine release not only out and away from the gun, but also back toward the shooter. Install whichever button style works best for you! 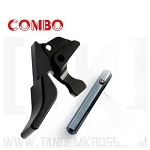 The magazine release button and paddle are available in black or silver for further customization. 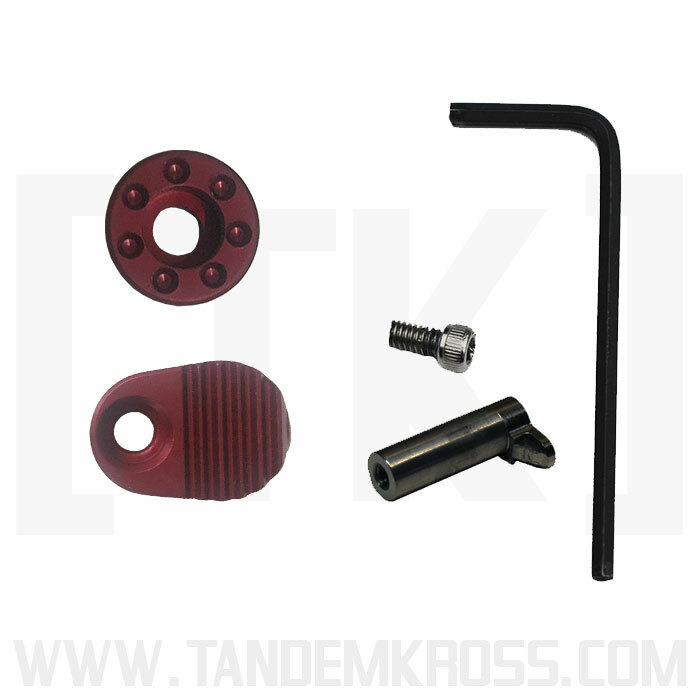 Both button styles are made of Zytel® and textured for a no-slip grip in any condition. The paddle can also be positioned by the user for a customized grip. 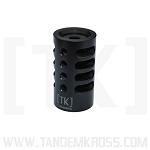 Stop fumbling for your magazine release & make faster, more consistent magazine changes with the TANDEMKROSS "Titan" Extended Magazine Release for SW22® Victory™. This extended mag release is just what the Dr. ordered. The only negative is that if you are keeping the gun in a holster, make sure it's not too snug a fit. 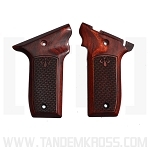 This release is sensitive and if you bend the wrong way in a holster it could release the magazine. 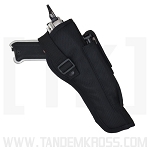 If your not drawing from a holster it's no problem. Other than than, it's like Tonny the Tiger used to say It's Greeeeeat. I had already installed a few parts from this company and am very pleased with them. The last part I wanted for my SW 22 was an extended mag release. This one works very well and was beyond easy to install. I think it made it just a little harder to push but that works for me because I felt it was to light from factory. 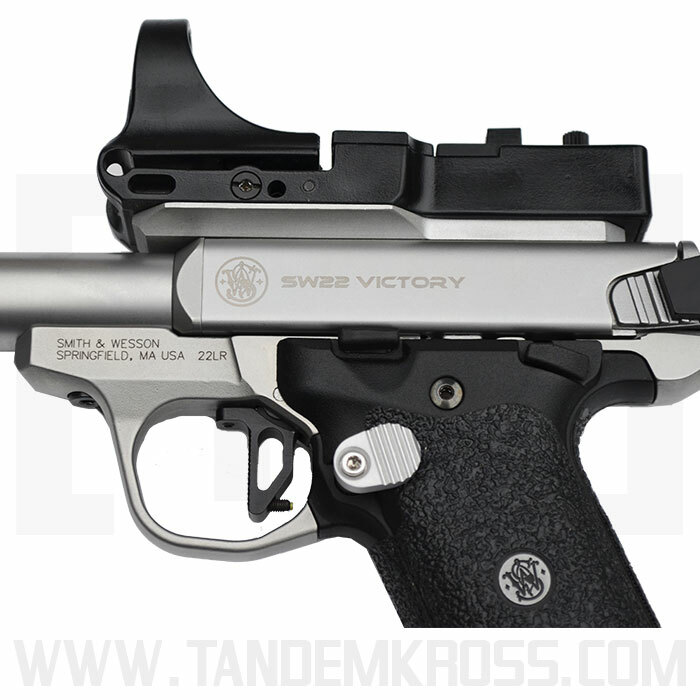 I would highly recommend to anyone looking for anew extended mag release for their SW 22 victory. Shortly after I bought my S&W Victory I realized because of my short and heavy fingers and hands I couldn't reach the mag release. I sent a suggestion to you for this product. It makes releasing the mag much easier but could even use another 1/4 inch in length. In installed this product along with others on my new SW22 and I like it very much. 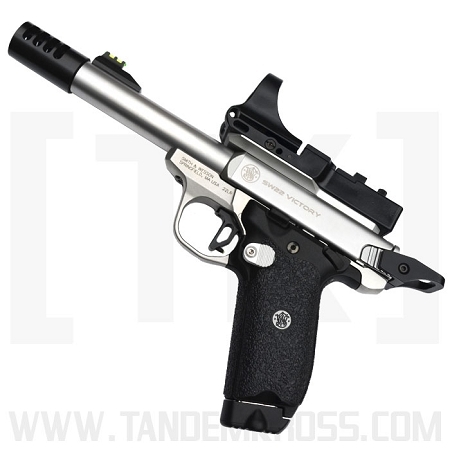 Another great piece of TK equipment for my S&W Victory !! Makes it so much easier to release the Mags for my wife and she loves it !! Thanks ! Q: Does this magazine release work (clearance?) with the Altamont Co. wood grips. I only see it pictured with the S&W original grips. Thanks for your time, great products!! 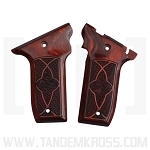 A: Yes, the "Titan" Extended Magazine Release will work with the Altamont Co. wood grips. It will not, however, work with Volquartsen Laminated Wood Grips. Thank you for your question! Was this answer helpful? 22 of 23 Customer(s) found this Answer helpful. 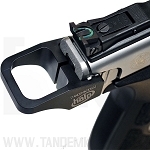 Q: Will the Victory Extended Mag release work with the HiveGrips? A: Yes the Titan will work perfectly fine with the HiveGrip. Was this answer helpful? 19 of 20 Customer(s) found this Answer helpful. Q: Will this mag release work with the Volquartsen wood target grips for the Victory? 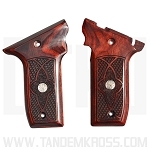 A: This Mag Release will not work with the Volquartsen Wood Grips. Q: Will the extended mag release for left hand shooters? A: Yes This will work with both Left and Right Handed Shooters. Q: My Victory 22 has Altamont wood grips. 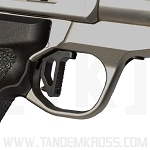 Can I add the extended mag release button to those grips? A: Yes this Magazine release will work with the Altamont Grips. Q: Will this work with the SuperGrips? 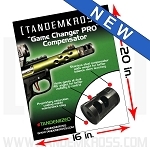 A: Yes this Magazine Release will work with the Super Grips. 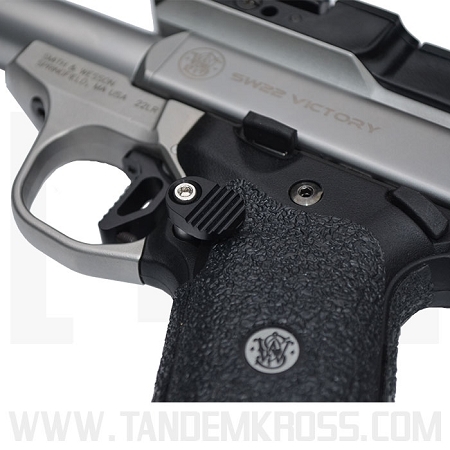 Q: Will the victory extended mag release work with the g10 bullseye grips with thumb rest?